Moon-Ho Jung is an associate professor of history and editor of the book “The Rising Tide of Color: Race, State Violence and Radical Movements across the Pacific,” published by University of Washington Press. He answered a few questions about the book. Q: What is the concept behind this book and how did it come to be written? A: In May 2011, when I was directing the Center for the Study of the Pacific Northwest, we hosted a major conference that sought to center the Pacific Coast in the study of race and politics, in part because the American West tends to be ignored in conversations about race. But we know that the “left coast” has had a profound impact on movements for racial justice — from the Industrial Workers of the World and the International Longshore and Warehouse Union to the Black Panther Party and the Third World Liberation Front strikes. These movements also generated violent responses, including state repression, that reverberated across the United States and around the world. The collection, which grew out of that conference, represents a preliminary attempt to make sense of that wider history of race, state violence, and radical movements on the Pacific Coast and across the Pacific. Q: You note Dr. Martin Luther King Jr’s 1963 “dream” speech, which expresses hope that America will “rise up and live out the true meaning of its creed,” calling it a “highly seductive” but “fatally flawed” image of the United States and of King. How is the image flawed, and what is the reality? A: Don’t get me wrong, I think “I Have a Dream” was a remarkably effective and moving speech. But we have to be careful not to limit King and his political vision to that single speech. As I tell my students every January, spend a little time reading, watching, or listening to King’s later speeches. If you listen to his incredible speech voicing his opposition to the Vietnam War, you can’t but recognize that King’s critique ran much deeper than what we’re accustomed to hearing every year on MLK Day. Calling the U.S. government “the greatest purveyor of violence in the world today” and speaking as a “citizen of the world,” he identified with the poor in Vietnam and in the U.S. For King and many others, working toward racial justice meant embracing a sense of belonging beyond the U.S. nation-state and confronting the violent machinations of that state. In contrast, I think the history of race in the U.S. has been domesticated and sanitized to the degree that King’s radical, global vision has become largely illegible. Beginning with Reconstruction in the 1860s and culminating in civil rights legislation in the 1960s, the U.S. state has seemingly stepped forward to advance and sanctify America’s supposed commitment to racial equality and racial justice. The federal government finally mustered a national resolve to defeat racism once and for all, to enforce desegregation on a reluctant South, so the story goes. That historical depiction, in turn, has been essential to making the U.S. state appear nonracial and even anti-racist across time. Many of the essays in the collection challenge that romanticized and simplifying narrative. The U.S. government, they remind us, has been a central embodiment and agent of white supremacy. 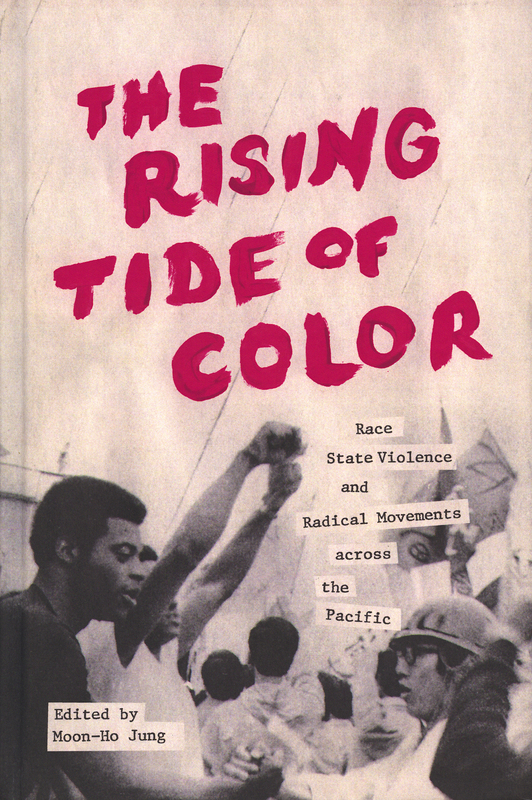 And movements across the Pacific make that history of race and state violence pointedly clear. Q: Your review of race, freedom and state violence in the 19th and early 20th centuries touches on some dark but familiar themes — intervention abroad, surveillance of populations, an admitted torture called “the water cure.” How, so far, does the 21st century compare? A: Rather than comparing the past and the present, let me point out the intimate connections between the past and the present (or the recent past). We are living with the legacies of the past. It’s depressing and tragic, but many of the historical issues we address in the collection — racist immigration laws and policies, antiradical repression, police brutality, mass incarceration, and imperial wars — resonate all too clearly with our current moment. Q: You write, “I hope our collection serves as a resounding call for new histories, geographies and identities toward building new radical possibilities in the 21st century.” Briefly, what do you envision those possibilities being like? A: The collection is not only about how depressing the past and the present are. It’s also very much about the very creative and ingenious ways that human beings have imagined and pursued a radically different world. The movement against state violence in the wake of Michael Brown’s murder, I think, is an example of what Lipsitz is talking about. As we move forward, I hope we can be critical and creative in how we frame and interpret the past and the present.